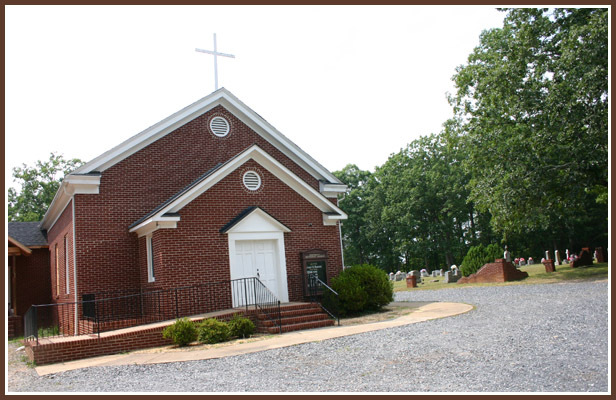 Comments: The Centerary United Methodist Church Cemetery was founded in 1869 and is located approximately 7 miles south of Scottsville on Rt. 20. Many area Methodists involved with farming along the James River's south shore, Hatton Ferry, or business in Scottsville are buried in this church cemetery. As of September 2017, its cemetery contained approximately 189 gravestones. Directions to Centenary United Methodist Church from Scottsville Museum: Go West on Main Street and turn left on Valley Street. Cross over the bridge across the James River and drive South on Rt. 20 for approximately 7 miles. Centenary United Methodist Church is on the right. The church’s cemetery is just north of the church building. Wife of William Henry Jones, Sr. Wife of Thomas C. Shores, Sr.